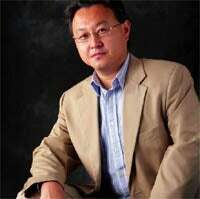 SCEE's "independent" blog Three Speech has spoken with Sony's new Worldwide Studios boss Shuhei Yoshida, who recently stepped into the role vacated by Phil Harrison. Yoshida's been with PlayStation since 1993, primarily as a strategist - he claims credit, in the interview, for convincing Sony to invest in the PlayStation business to begin with. There are many new ideas that sound very interesting, but we don't know whether they would really work, or how much it would take to accomplish our vision – that's why we use the early pre-production stage to try new ideas and measure how much it would take to develop the product. With all that understanding, and with all the other projects that are going on – perhaps other projects are at the same stage and demanding lots of resources from many fronts, because we support many platforms in PS3, PSP, PS2 and PSN – there are more things we want to do than we can, given the number of people and resources. So, it was not like Eight Days was in jeopardy: it was making progress. But it was more about business situations and priorities. Q: I'm wondering about Sony's policy regarding exclusive PS3 games – it leans more towards internal development rather than paying third parties for exclusives. Are you re-evaluating that policy? SY: My role is to run first-party development, and we are always exclusive. Because, in this generation, it costs much more to develop one product, it's just natural for third-party publishers trying to recoup the investment from multiple platforms. I think that's pure economic pressure, pushing most of the third parties to move from some exclusive titles to more multi-platform titles. Because we know that is the trend, we, as a company, can invest in our first-party studios; in terms of exclusive titles, our role becomes more important. As far as I can see, with major publishers like Activision and EA, their major titles will be day-and-date with the Xbox 360 and their quality will be really good. And some of the titles, I expect, will have something extra because of the PS3's abilities and the space on the Blu-ray format. So is the era of major publisher exclusives over?